Annealed wire is made of bright drawn wire by heating it in protected environment without oxygen on a temperature of 680 to 700 Celsius. During that process the structure of steel wire is changed and it becomes softer and easy to manipulate and twist. Its tensile strength is reduced to some 350 to 380 N/mm2. Annealed wire matches the DIN 177 standard. 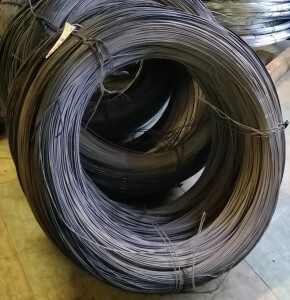 This kind of packing annealed wire is used during binding by machines. 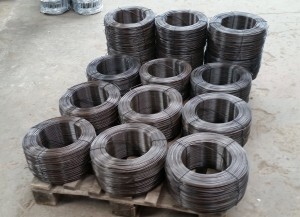 Characteristic of this kind of packing is that the beginning of wire starts from inside the coils. The weight of coils is around 30kg. Usually is the wire with thickness 2,5 or 2,8mm. Coils is packing on wooden palette 600-800kg and the wire is light oil.